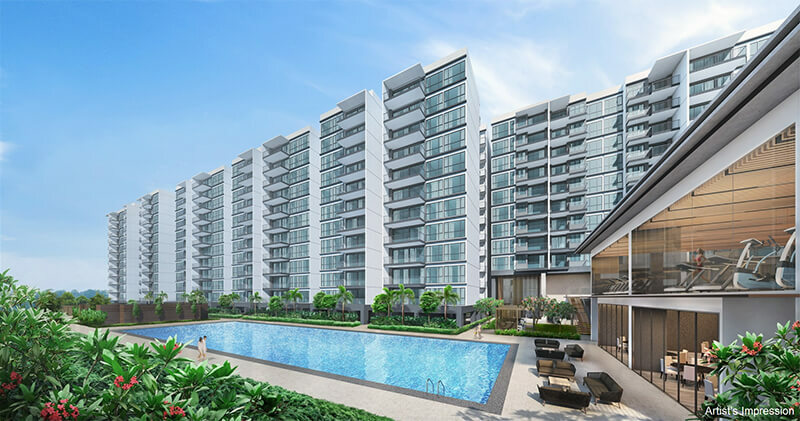 Over the weekend of 23 – 24 March 2019, developer Sim Lian Group’s new launch condominium, Treasure at Tampines sold a total of 272 units at a median per square foot (psf) price of $1,280. Treasure at Tampines, the former Tampines Court has a total of 2,203 units and is now the largest private residential development in Singapore. With a massive land area of approximately 650,000 square feet, Tampines Court was previously acquired for a whopping $970 million ($676 psf ppr) by Sim Lian Group via en bloc sale back in 2017. Located along Tampines Street 11, Treasure at Tampines has a wide range of unit types from 1-bedroom to 5-bedroom, with sizes ranging between 463 to 1,722 square feet. This Tampines condo will set to completed by 2023. According to reports, there were 490 units released for sale and the sales figure over the weekend reflects a 56 percent take-up rate. Market experts have deemed the sales result as satisfactory and believe that other property developers will be using it as a good reference for some of the upcoming mega launches – such as Amber Park by City Developments Ltd, Normanton Park by Kingsford and Parc Clematis by SingHaiYi Group. Earlier on in March, the 1,410-unit Florence Residences at Hougang sold around 60 out of the 200 units being released for sale on its launch weekend. Property consultants pointed out that for any condo development similar to Treasure at Tampines that consists of more than 1,000 units, it will be a plausible performance if the developer is able to sell off 10 to 15 percent its units over 2 days – especially barely 9 months after the latest property curbs were implemented.